I’m very interested in special needs dogs. These dogs often have physical limitations that can be assisted with massage, acupressure and laser treatments (which I can provide). Faith the Dog’s website isn’t the most professional I’ve seen, but it certainly tells a heartwarming story of a dog that was going to be killed by its mother and was saved by a young man. 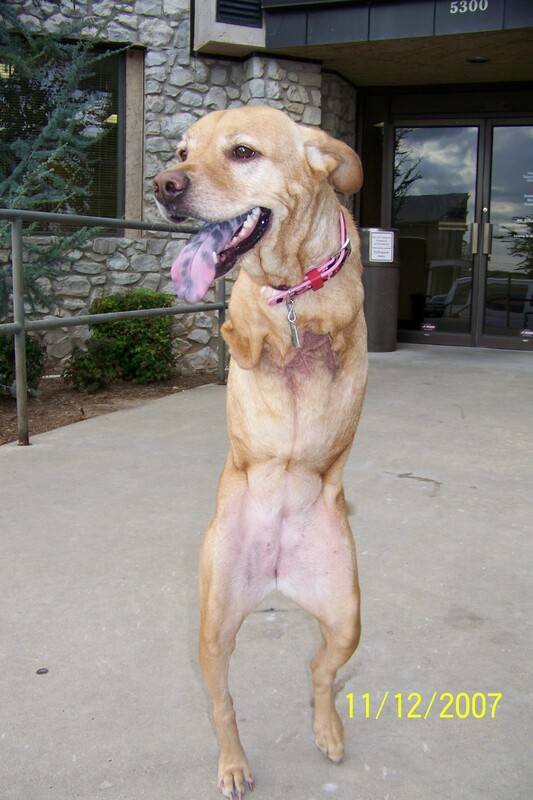 Despite recommendations that Faith be put down, her adoptive family persisted and trained her to walk on her hind legs using treats like peanut butter. Faith is now a loyal family pet who also serves as a therapy dog. Faith’s story has been told on the Oprah Winfrey Show. Watch the Oprah segment here. So now you know why Faith’s story carries the byline Hope and Love on Two Legs! This entry was posted in dog adoption, special needs and tagged adoption, biped, Faith the dog, Oprah Winfrey, therapy dog. Bookmark the permalink.